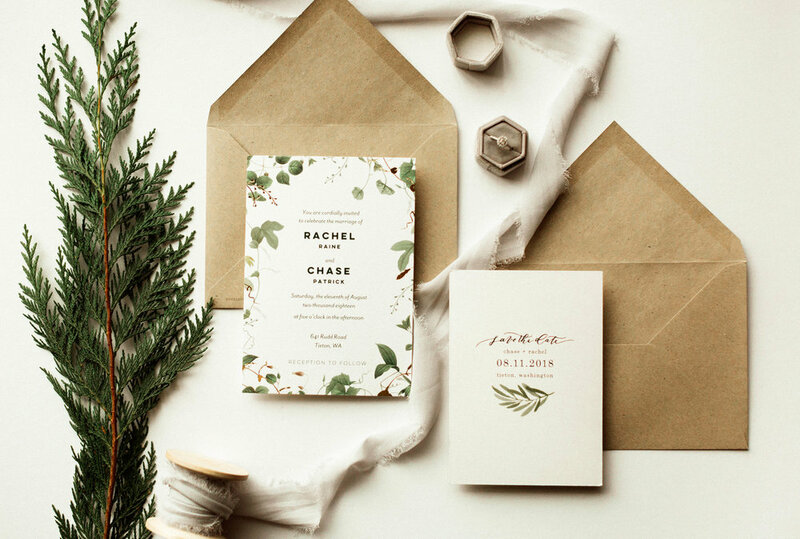 When you’re planning your wedding, there are a ton of things to think of including where to get your wedding stationary. Wooot! So today on the banter, I’m sharing the top 3 best places to get your wedding stationary dreams come true. You guys know how much I love this small business; I use them for my wedding print sets I gift my clients after their wedding! Recently, they launched their wedding suites now and they are incredible and unique! AHHH such a dream. You can even get a sample kit to test it out! Check out their awesomeness here. My husband and I used Minted for our wedding invites and absolutely loved it. They also send you a sample kit to show the different card-stock, colors of envelopes, and colors in the bridal suite. They are super great with communication and making sure your invites are perfect. They send you a final mockup of your invites before mailing/ printing them so everything is organized and set. They really care and it shows. This company is so nice and super great at communication. They have all sorts of designs that are unique and beautiful. They even have print-outs of table numbers, bridal party games, signs you can print out for your wedding like a wedding hashtag sign, anything! They have a ton to offer to definitely check them out.